We would like to invite you on the seminar concerning the MicroNOD-project. 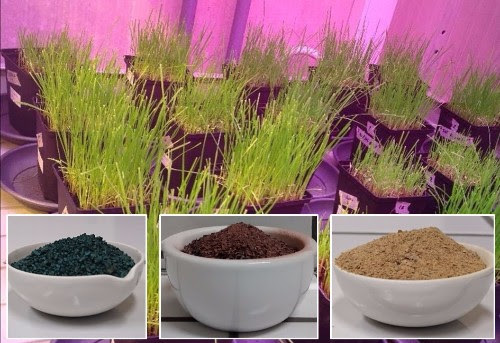 In this study innovative organic fertilizers, based on bacteria, are produced. The microbial organic fertilizers are slow-release fertilizers and consist of aerobic heterotrophic bacteria, purple bacteria and spirulina. In addition, these fertilizers are sustainable, because they are produced on waste streams. During the project, the performance is already shown for a number of crops. During the seminar the main project results are presented and demonstration material is shown throughout the chain: upgrading of waste streams (e.g. struvite), production of the microbial organic fertilizers and the current tomato and grass tests. 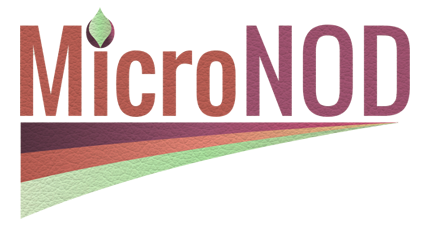 MicroNOD aims for systemic innovation, by strong interaction with the social actors. This project is carried out by 5 key partners (Avecom, AgrAqua, Greenyard, University of Ghent and University of Antwerp) and supported by several civil society organizations and companies (VCM, OVAM, Innovatiesteunpunt, Pinguin, Agristo, Vlakwa en AVBS). The project receives financial support from MIP/i-Cleantech Flanders. Graag nodigen wij u uit op de studiemiddag rond het MicroNOD-project. In dit onderzoek worden er innovatieve organische meststoffen, gebaseerd op bacteriën, geproduceerd. De microbieel organische meststoffen zijn traagwerkend en bestaan uit aerobe heterotrofe bacteriën, purper bacteriën en spirulina. Bovendien zijn dit duurzame meststoffen, omdat ze geproduceerd worden op reststromen. Tijdens het project is de performantie ook al aangetoond voor een aantal gewassen. Op de studiemiddag worden de belangrijkste projectresultaten gepresenteerd. Hierna volgt er demonstratiemateriaal doorheen de keten: opwaardering van reststromen (b.v. struviet), productie van de microbieel organische meststoffen en de huidige tomaten-, en grastesten. MicroNOD mikt op systemische innovatie, door sterke interactie met de maatschappelijke actoren. Dit project wordt gedragen door 5 kernpartners (Avecom, AgrAqua, Greenyard, Universiteit Gent en Universiteit Antwerpen) en gesteund door meerdere middenveldorganisaties en bedrijven (VCM, OVAM, Innovatiesteunpunt, Pinguin, Agristo, Vlakwa en AVBS). Het project krijgt financiële steun van MIP/i-Cleantech Vlaanderen.